Catalina N4760C was a very nice visitor - one of several survey aircraft to visit Dublin during this general time period. This aircraft made a forced landing at Lynn, WI on March 22, 1983 and that was the end of its flying career. It was restored for display as an OA-10A at McChord AFB, WA. Cessna Titan SE-GMX on the 13th was en route to Baldonnel for demonstration to the Irish Air Corps. Dornier Skyservant D-IBUF made a visit to Baldonnel on 20 June for the same reason but I'm not sure if it transited Dublin. A bigger demonstrator at the end of the month was Fokker F27 PH-FCX, which was a conversion of an early passenger F27. JAT's 707 YU-AGJ arrived at 2320 local time on the 15th for attention in the hangar; I can't recall any other JAT 707s visiting Dublin. Britannia EI-BDC on the 17th was still in basic RAF livery with no titles. It was a temporary addition to the fleet while EI-BBH was on lease to Cyprus Airways. Air Malta's first jet equipment was a pair of Boeing 720Bs leased from Pakistan International and these commenced a weekly charter series, still with Pakistani registrations until they were purchased by Air Malta a few years later. Aviaco's favoured equipment on its Dublin charter flights was the DC-8 series 50, several of which the company had inherited from Iberia. 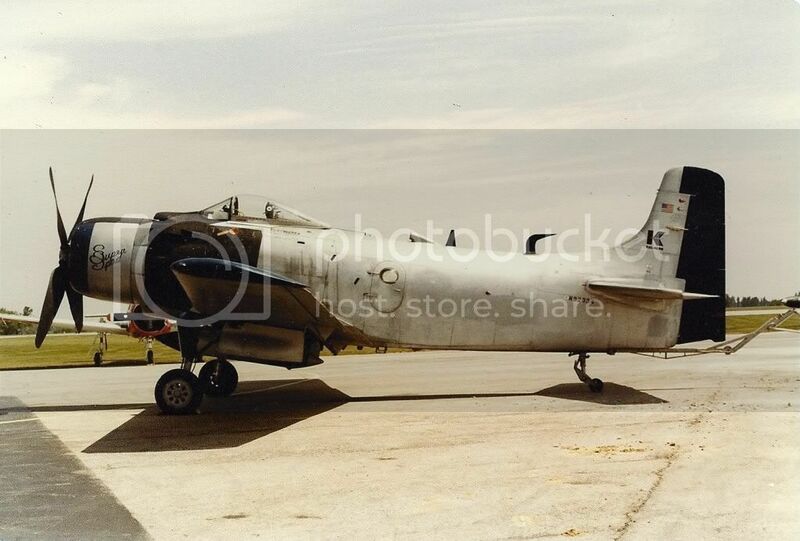 The two former French Skyraiders which had arrived in March took to the air again on the 4th on the next leg of their flight to the USA, departing one after the other in noisy fashion from runway 35, destination Reykjavik. Two French-operated aircraft arrived to be based for survey duties; one was the IGN's brand-new Super King Air F-GALP, while a lot more interesting was DC-3 F-OCUY of Hemet Exploration. The latter was to be lost four years later when it disappeared south of Mallorca on 21 April 1981 with the loss of the four persons on board. By then it was registered as F-BJBO. Also hailing from France was naval C-47 serial 726, in the usual silver and dayglo finish worn by these machines. It too was to be lost in an accident, though a non-fatal one, when as EC-EQH it veered off the runway at Palma de Mallorca on 4 January 1991. Other piston-powered movements of note were the departure to Southend of Aer Turas's last C-54, EI-ARS, and a visit by Nor-Fly CV440 LN-MAP. Two aircraft passed through en route to Baldonnel for demonstration to the Air Crops. These were Britten-Norman Defender G-BCMY and Cessna Titan N5432G. No orders resulted.